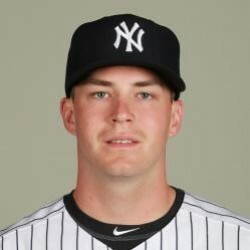 Although he allowed two walks in his inning of work, Danny Burawa did not allow a hit and added a strikeout for the Yankees on Saturday afternoon. Danny Burawa has the stuff to be a Major League pitcher and so far has thrown two scoreless innings this spring. With several bullpen spots potentially up for grabs, especially if Esmil Rogers or Adam Warren end up in the rotation, Burawa has a chance to win a job. This spring is still very young, so follow Burawa more as camp continues.